When You Are in Default on an NJ CLASS Student Loan Have you missed a few payments on your New Jersey CLASS student loans? Are you worried that you are in default? Well, here's how to find out if you are! The determination of default is different depending on whether you have a federal, NJ CLASS, or private loan. Private loans are usually pretty strict (missing one payment), but it is determined by the terms of the promissory note. Federal is fairly liberal, but don't expect the same from the State of New Jersey. In general, default occurs when you fail to make a payment when due, or to meet other terms of the note. This must be done "under circumstances where (HESAA) finds it reasonable to conclude that the borrower no longer intends to honor the obligation to repay." But what does that mean? How Far Behind Do I Have to Be? So, either six (6) monthly payments behind or 8 months if you are in school. What Can Happen Once I Default? A lawsuit against you and your cosignor resulting in levies, including on your bank accounts. In addition to this there is the potential suspension of a professional license, so doctors, lawyers, and teachers need to be cautious. Plus, you can never get a CLASS loan again. 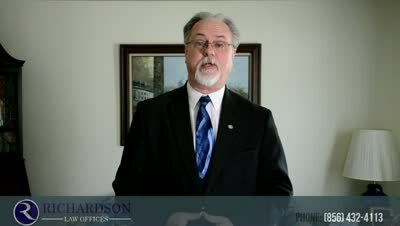 If you live in southern New Jersey and are being sued on an NJ CLASS loan, please feel free to call my office at 856-432-4113 or contact me through this site to schedule an appointment in my Woodbury office to discuss your how to handle it. What do I do if I have defaulted on my HESAA student loans? ?What is an Income Based Repayment (IBR) Plan for My Federal Student Loan? ?My child died owing federal student loans; Do I still have to pay them? ?How can I prevent a wage garnishment for my federal student loans?